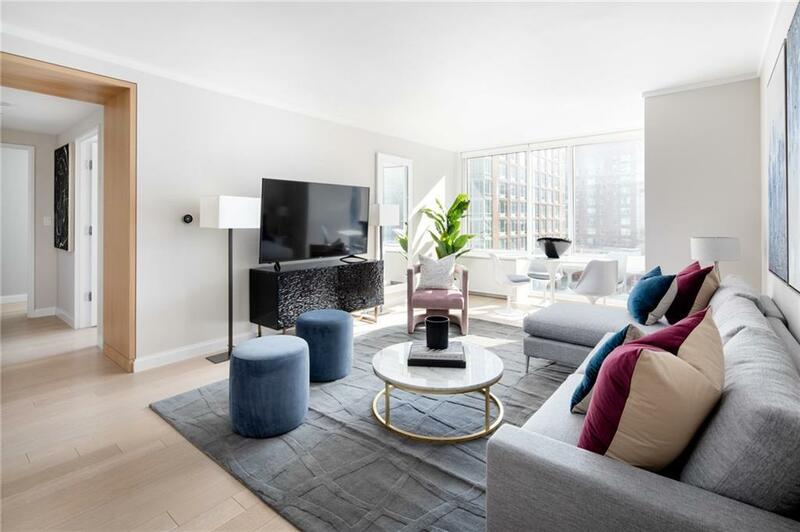 *LARGE 2 BEDROOM / 2.5 BATH LAYOUT WITH FLOOR-TO-CEILING WINDOWS**RARE FLOOR PLAN IN BUILDING, ABUNDANT NATURAL LIGHT*The newly constructed River and Warren, located in the prime northwest corner of Battery Park City, is the ideal home. 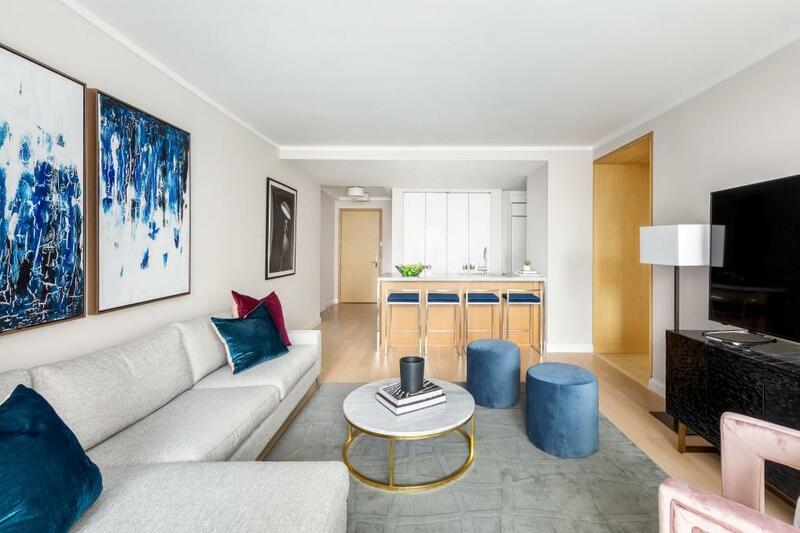 Nestled on Warren Street, which connects the two vibrant neighborhoods of Tribeca and Battery Park City, this home offers the perfect living situation.This large 1,272 square foot 2 bed, 2.5 bath has gorgeous South/East city views overlooking Teardrop Park. A plethora of natural sunlight flows through its floor-to-ceiling windows from every room of the apartment.Enter the apartment and you will be greeted by an open living space and dining room showcasing craftsman set five inch, wide plank oak flooring and marvelously milled cabinetry. A state-of-the-art kitchen with refined Calcutta slab countertops and backsplash is a welcome addition to this home. 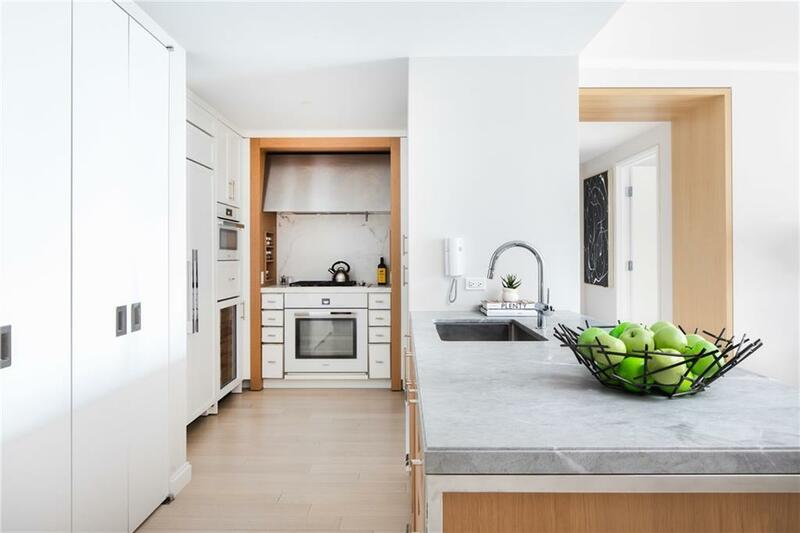 Also offered are a Bleu-de-Savoie marble island, Miele speed-oven, vented gas cooktop, dishwasher, Sub-Zero refrigerator and wine cooler. 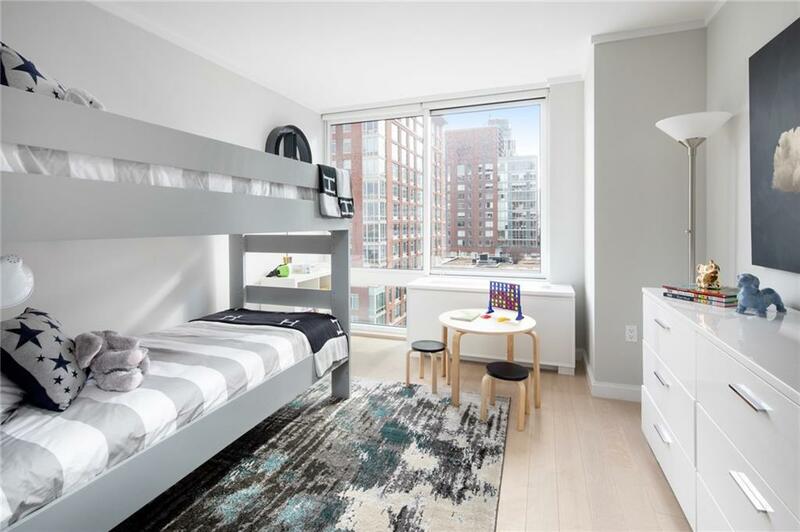 This unit is equipped with Bosh washer and dryer.River and Warren owners enjoy world class amenities which include a 24-doorman and concierge, fitness center and heated yoga studio, nautical children's playroom, and landscaped rooftop terrace with outdoor kitchens. Close in proximity to 1, 2, 3, A, C, E and PATH train lines that give you the effortless maneuverability to get anywhere in the city. Listing courtesy of Alexander Madrigal of Compass.